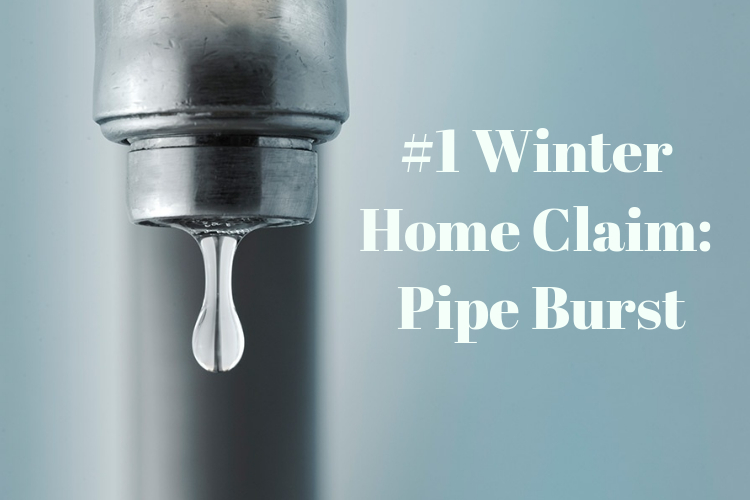 It’s very important to prevent frozen pipes in winter. Or else you can end up with a very costly homeowners insurance claim! We get several calls with claims about frozen pipes in the winter, so we want to make sure you know what to do to prevent them. Water damage claims are heavily reported claims, second only to wind and hail damage. The majority of these water damage claims are burst pipes. 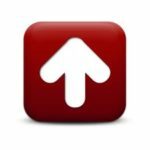 That is why it’s important to pay attention to this blog post! A water damage claim can happen to you. First off, do you know why frozen pipes are such an exposure? When water begins to freeze, it expands. The expansion can cause the pipe to burst. You may not even know that you have a burst pipe until either the house warms up when heat is turned on or the weather turns towards spring. If the water is not frozen, it will leak into your home and cause potentially significant amounts of damage. Water claims can be extremely costly. That is why it’s very important to prevent frozen pipes. Not only can the claim be costly, but you may have to move out of your home for weeks as repairs are done. Pipes inside of the home in areas that aren’t heated. This can include pipes in the basement, garage, cabinets, and attic. What can you do to prevent frozen pipes? You should know where pipes are located that have the potential to freeze. Before winter comes, look inside of your home and around the exterior. When it gets cold out, maintain your heat at a temperature of at least 55 degrees Fahrenheit. This is very important and a step that people tend to overlook. If you’re a snowbird or moving out of your apartment but still have a lease, you need to maintain your heat. Drain outdoor pipes. Pool contractors should blow out your pipes if they close a pool for you. What should you do if a pipe does burst? It is the policy holder’s duty to prevent further damage, so this means that you need to act as quickly as possible. You’ll need to shut off water service immediately to the building. You’ll then need to get the clean up process going quickly and dry out the area to start to prevent things like mold. Move any belongings in the affected area to a dry area or at least above the water. Take photos along the way that you can share with your claims adjuster if necessary. Call your insurance agent who can provide additional advise or help you determine if it makes sense to submit a claim. Water damage from a burst pipe can be denied by the insurance company if the insured is negligent. Some pipe burst claims may be denied by the insurance company. A denial can happen if the policyholder is negligent, like choosing to shut the heat and power off. This is why you need to maintain your electrical service if you are moving out of your apartment ahead of your lease expiration. A frozen pipe burst claim can also be denied if the cause of the water damage isn’t sudden and accidental. An insurance policy is intended to cover sudden and accidental claims – not a leak that has occurred over the course of several weeks or months. If the insurer does cover the claim, often the repair to the burst pipe will not be covered but the resulting damage will be. Damage to carpets, walls, furniture and the cost to clean up the water could be considered as part of a claim payment. One of the insurance companies that we represent, Travelers Insurance, recently wrote their own blog post about the cost of water damage in the home. Frozen pipes are just one type of water damage that can occur. To read that blog post, click here.